Our guide to Scottsdale will help you find the best breweries in Scottsdale Arizona. The nickname 'Valley of the Sun,' is so appropriate -- the area gets more than 325 days of sun a year! And with gorgeous mountain vistas, an astounding choice of resorts, fabulous restaurants, and world-class golfing and spa options, it's no wonder Phoenix attracts vacationers from all over the country. There are tons of great breweries in the city of Scottsdale, our city guide will help you find the best breweries. You may have a hard time deciding what to do in Scottsdale, but we make your decision easy. 15236 N Pima Rd, (480) 948-3030 - Arriba Mexican Grill & Microbrewery is a brewpub located in Scottsdale AZ. 15730 N Pima Rd, (480) 991-1795 - Four Peaks Brewing Co is a brewpub located in Scottsdale AZ. 6910 E Shea Blvd, (602) 953-8777 - Streets of New York Brewery is a brewpub located in Scottsdale AZ. 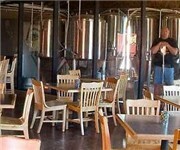 8763 E Bell Rd, (480) 699-7604 - Oggis Pizza & Brewing Co is a brewpub located in Scottsdale AZ. 7001 N Scottsdale Rd, (480) 248-9212 - Nimbus American Bistro and Brewery is a brewery located in Scottsdale AZ. There are plenty more breweries in Scottsdale. See all breweries in Scottsdale Arizona.